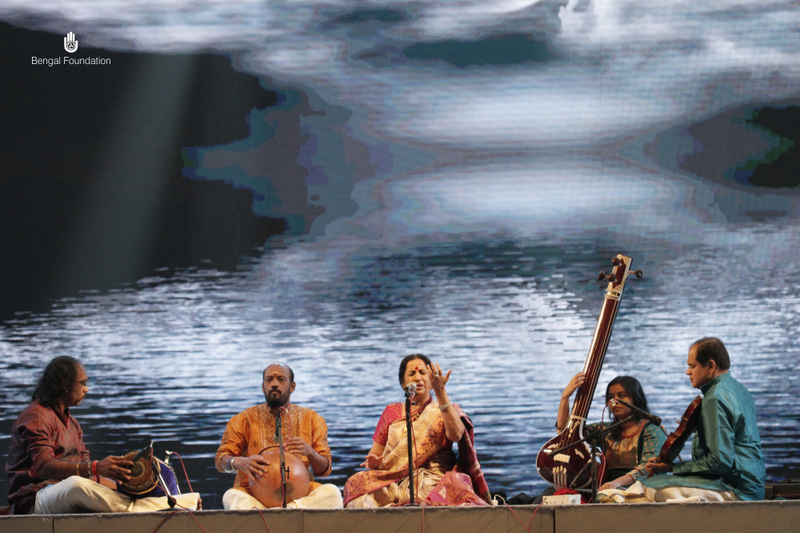 The Bengal Classical Music Festival 2017 ends at the Abahani Grounds in Dhanmondi in the capital on Saturday. 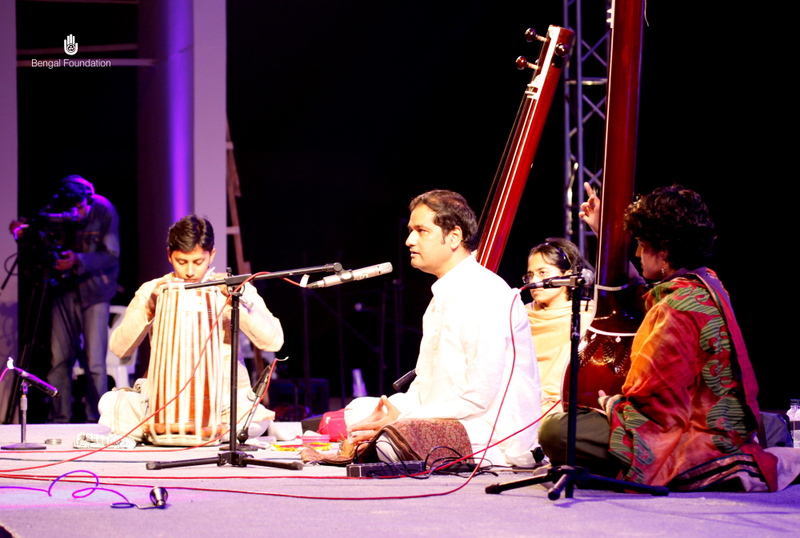 The 5th and final night of the Music Festival commenced at 7.00 pm on the day. The maiden performance was Odissi dance recital by Vidushi Sujata Mohapatra with co-artist Soumya Bose. 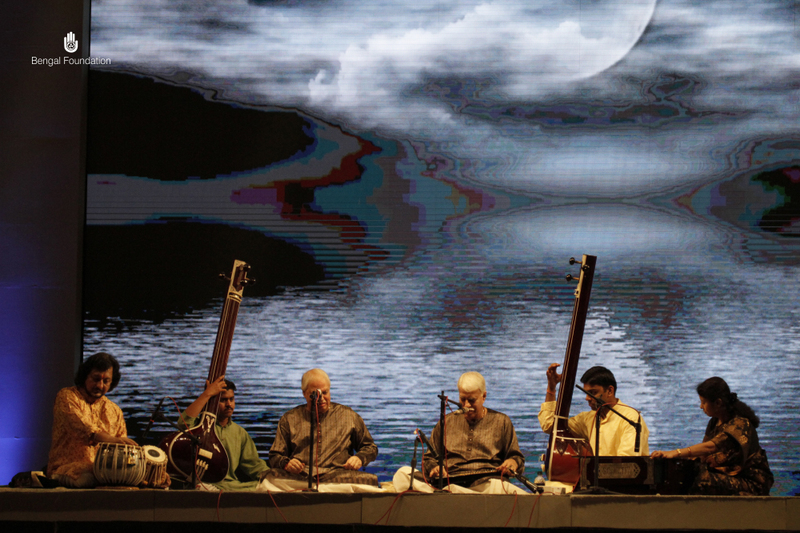 Accompanying them were Soumyaranjan Joshi on flute, Rupak K Parida on Vocal, Ramesh Chanda Das on the Violin, Eklabya Moduli on the Pakhawaj. Lights were done by Jaydev Das. After the first performance, the closing ceremony of BCMF2017 took place. Professor Emeritus Dr Anisuzzaman chaired the closing ceremony. BRAC Chairperson Sir Fazle Hasan Abed was the Chief Guest of the event. Among the Special guests were Cultural Exponent and President of Chhayanaut Dr Sanjida Khatun, Managing Director of Impress Telefilm and Channel i Faridur Reza Sagar and Mother of Kazi Nabil Ahmed, the Vice President of Abahani Limited Aminah Ahmed. 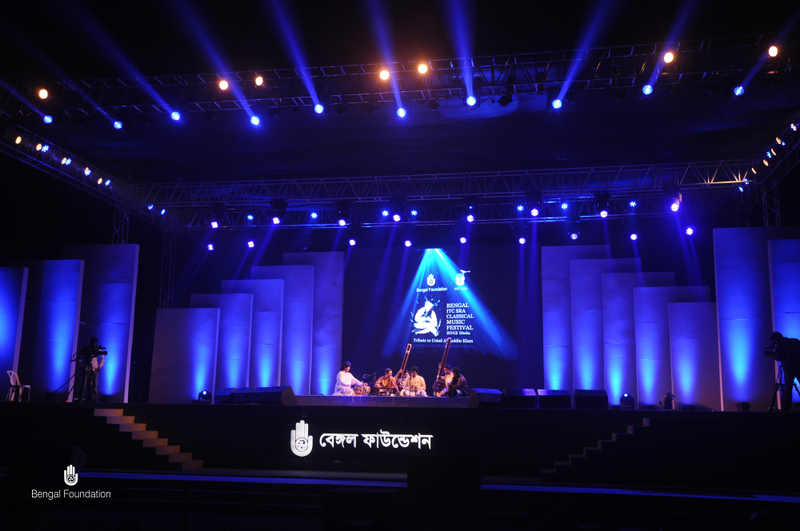 In his speech, Dr Anisuzzaman said that it’s a matter of pride that every year the classical music festival is reaching a new height, which will add new pages in the history of reviving the heritage of classical music in Bangladesh under the patronization of Bengal. 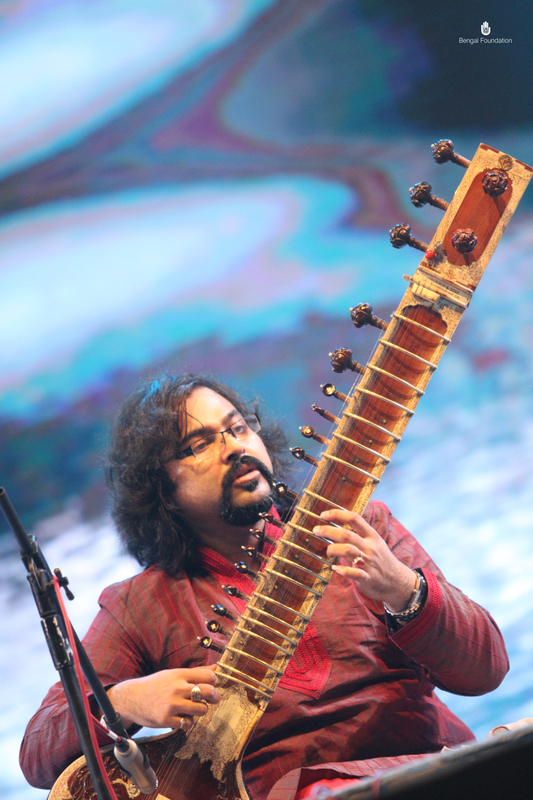 Brajeswar Mukherjee was the next artiste to enthrall the audience with Khayal rendition where he performed Raga Jog Pandit Subhankar Bannerjee was on the Tabla and Gourab Chatterjee on the Harmonium. 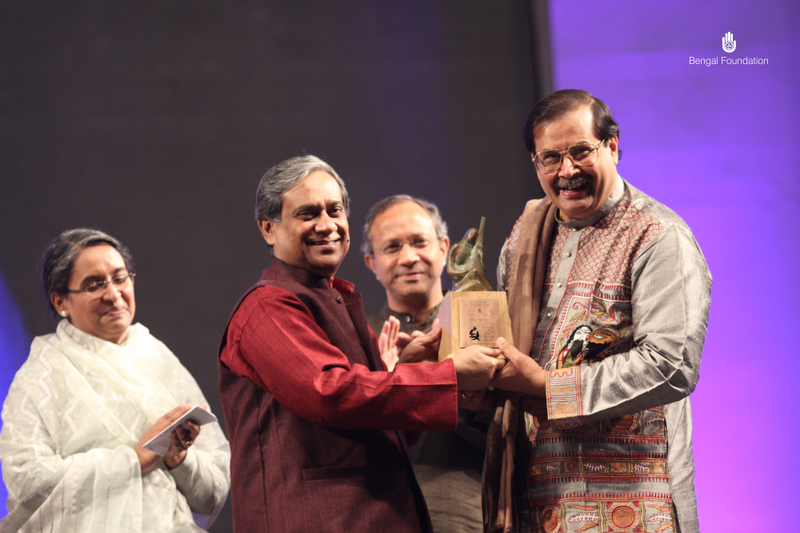 Eminent singer Shama Rahman handed the crest to the artiste. 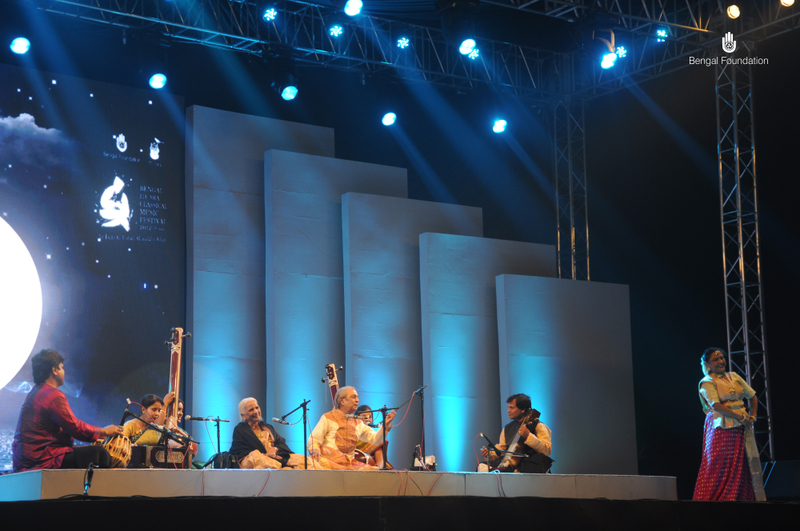 A wonderful Jugalbandi of Sitar by Pandit Kushal Das and Kalyanjit Das enchanted a sea of people at the dead of night. They performed Raga Jogkauns. Artiste Monirul Islam and Singer Aditi Mohsin handed the crest to the performers. 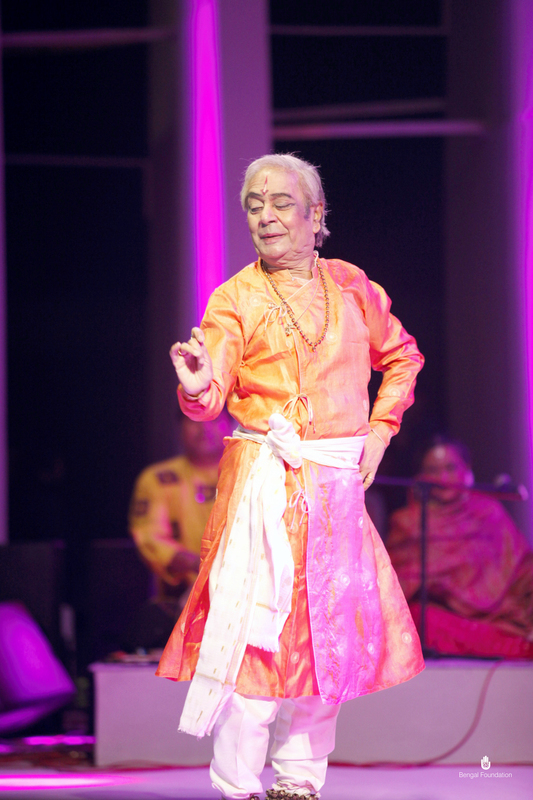 The penultimate performance of the night was Khayal by Pandit Kaivalyakumar. 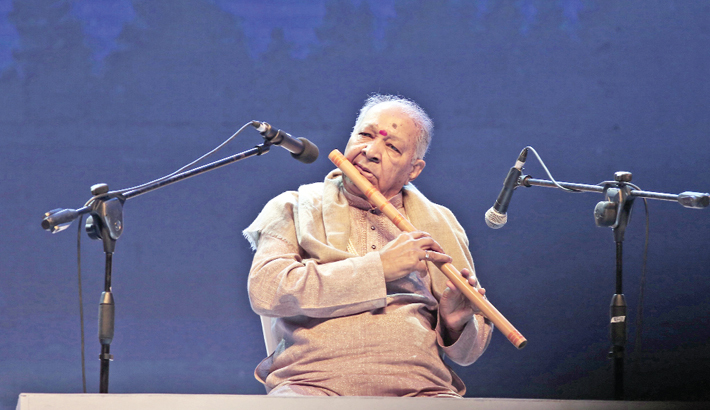 He performed Raga Gorakh Kalyan and a Thumri in Raga Khamaj. 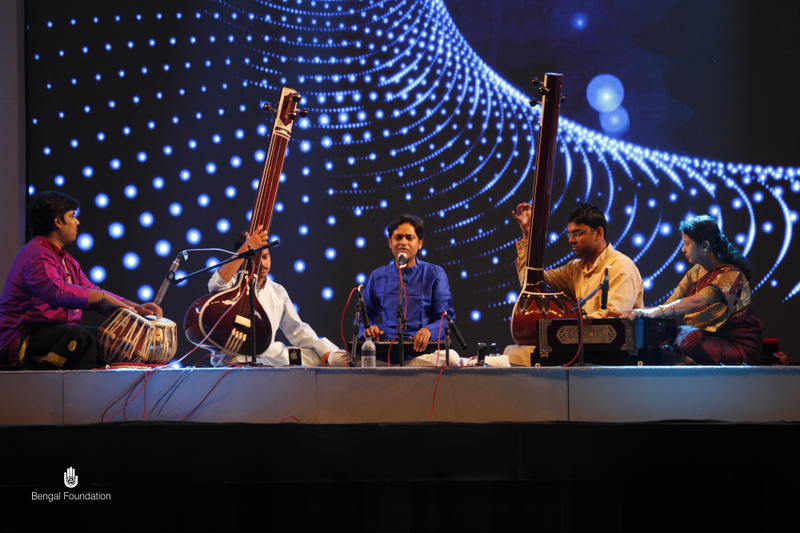 Accompanying him were Sridhar Mandre on the Tabla, Dr Sudhangshu Kulkarni on the Harmonium, Kumar Malakar and Abhijit Kundu of Bengal Parampara Sangeetalay on the Tanpura. Festival memento was handed over to him by Dr Syed Saad Andalib, Vice Chancellor of BRAC University. 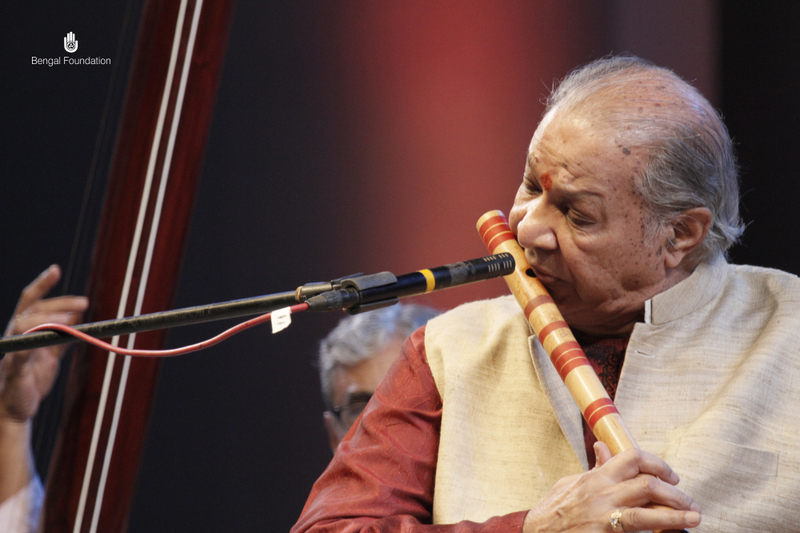 The concluding performance of the mega festival was Pandit Hariprasad Chaurasia’s mellifluous flute recital. 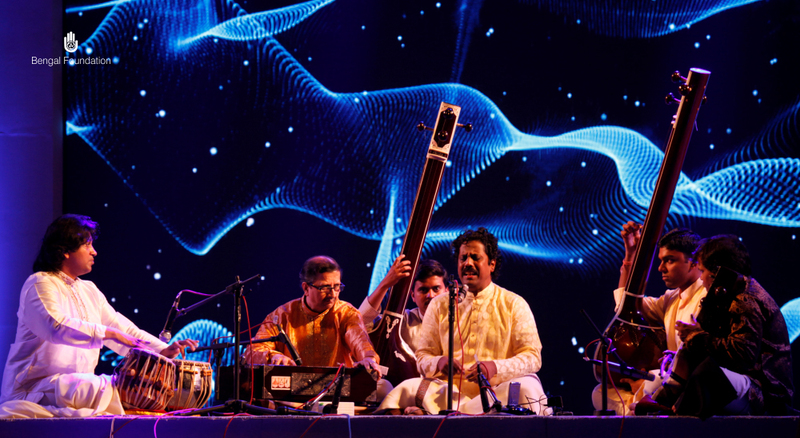 He was accompanied by Pandit Subhankar Bannerjee on the Tabla, Pandit Bhavani Shankar on the pakhawaj, Vivek Sonar and Uka Nagai on the flute and Mushfiqur Islam on the Tanpura. 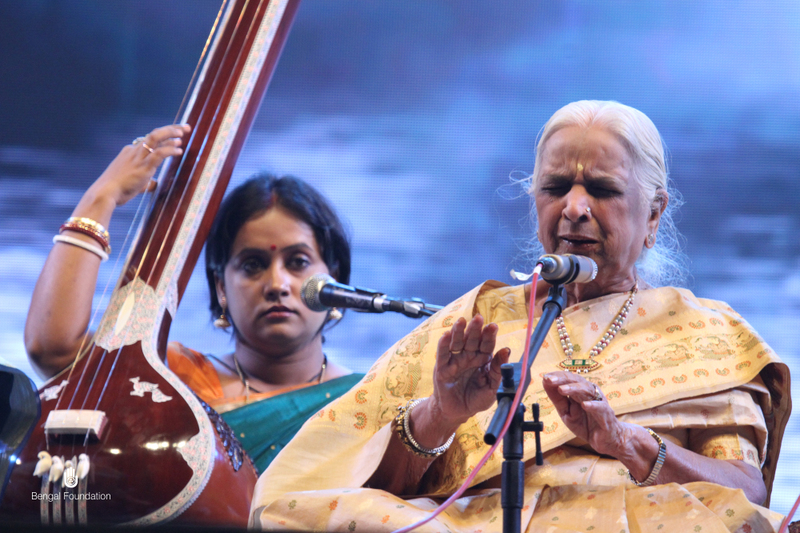 He performed Raga Lalitha and folk tune and bhajan. Finance Minister Abul Maal Abdul Muhith handed the crest to the artiste. 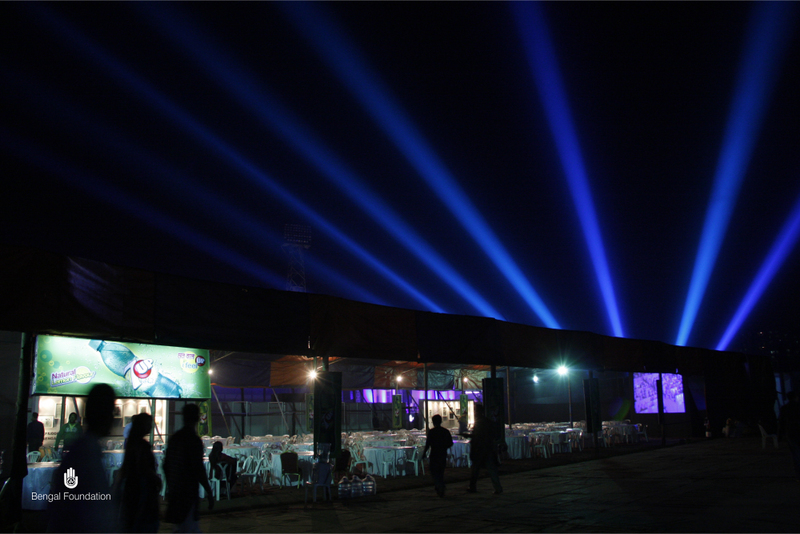 Just like previous years, the audience enjoyed quality food and beverages at the venue. 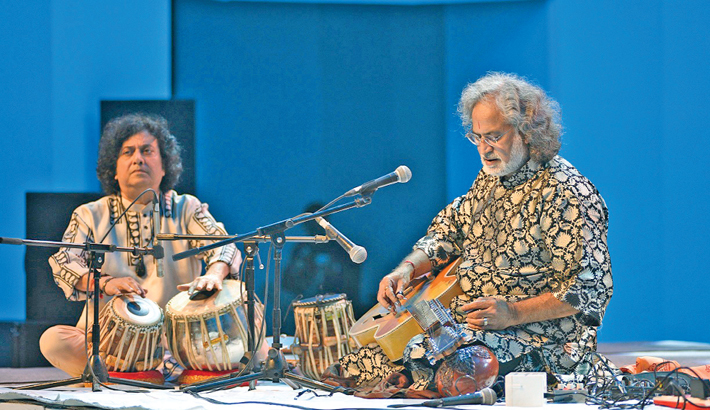 A pictorial exhibition, featuring the lives of legendary music exponent of Bangladesh, was set up at the venue; another exhibition featuring works of Bengal Institute of Architecture, Landscape and Settlement was also there. Bengal Digital, Bengal Express, Bengal Parampara Sangeetalay, Aranya, Bengal Visual Arts Program, Bengal Boi, BRAC Bank and Square Group have their distinctive stalls at the venue. 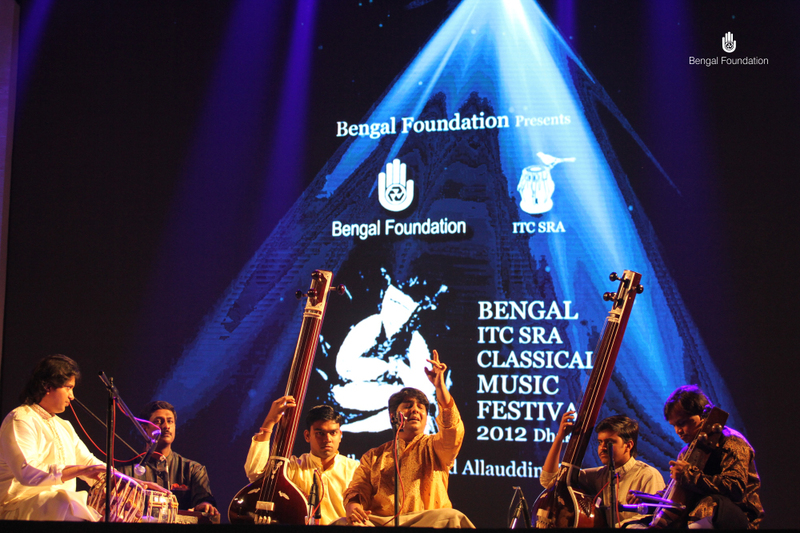 Square Group was the presented the Bengal Classical Music Festival as the title sponsor. supported by BRAC Bank, Channel i was the broadcast partner, while ICE Business Times was the media partner. Pan Pacific Sonargaon was the hospitality partner of the event, and Square Hospital was the medical partner in the event. 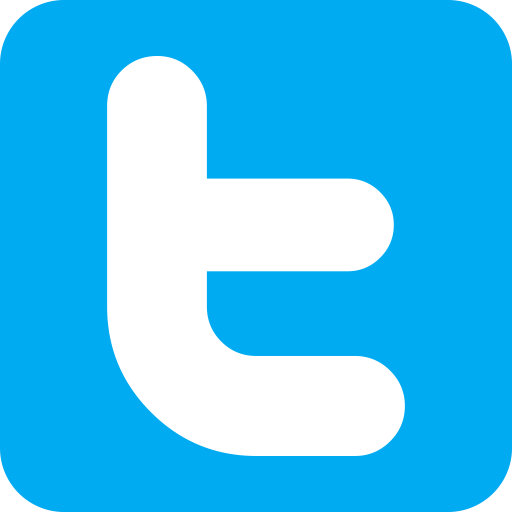 Blues Communications was handled the event’s management part. 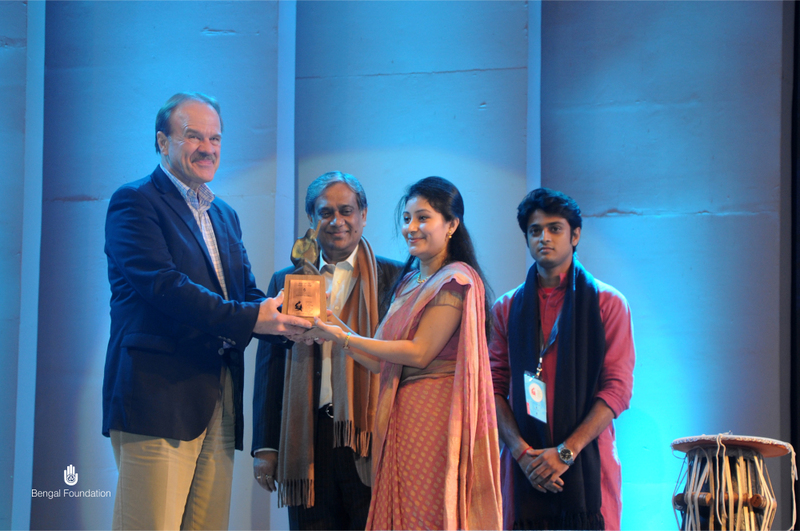 The festival was presented in association with Index group, Bengal Digital and Bengal Parampara Sangeetalay. Perfect Harmony of Singapore was the strategic partner. The event of this year has been dedicated to eminent educationist, researcher and cultural exponent Professor Emeritus Dr Anisuzzaman.